A mere half-year ago, I was published two article to guide you setup perfect VPS on Digital Ocean and the guidelines to optimize LAMP (Linux, Apache, MySQL, PHP) web server on lowest VPS hardware plan. My VPS that’s optimized with Varnish, W3 Total Cache, PHP-APC was powered on since November 2013 until now without any reboot or reset. 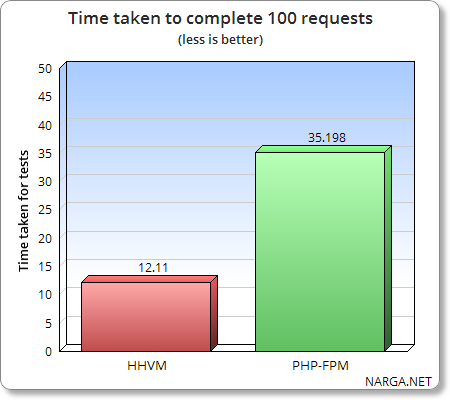 I estimate my server could easily handle 50K – 100K page views per day. At that point I would be close to breaking 95% memory usage (with swap file). In just an afternoon last week, my server was survival with 280K page views, without any downtime. As you known, I’ve moved from HostGator to DigitalOcean for two months and I shared some tips to build your own perfect LAMP server optimize for WordPress. With the VPS expansion you can now get a (very) small virtual private server (VPS) for a very affordable price. However, when you get a server with something like 256MB or 512MB RAM and a portion of CPU power, using default MySQL/PHP/Apache settings is a pretty bad idea. Currently, I’m running 3 websites with DigitalOcean‘s lowest plan: 512MB RAM/1 CPU. Not sure for load, but lets say 5-10k visitors per day. If you follow my guidelines in previous post, RAM usage will be increase up to 400 MB then running out in 1 – 2 weeks even you turned on swap. How to minimize memory usage on LAMP to prevent your server crash? I’ve setup a working VPS Ubuntu 12.04 LTS, LAMP server in 512MB of memory and it hasn’t gone into swap yet. It typically runs in just over 256 – 378Mb of memory and performs really well. So I thought I’d share the process of setting it up.